Charity Event of the year. 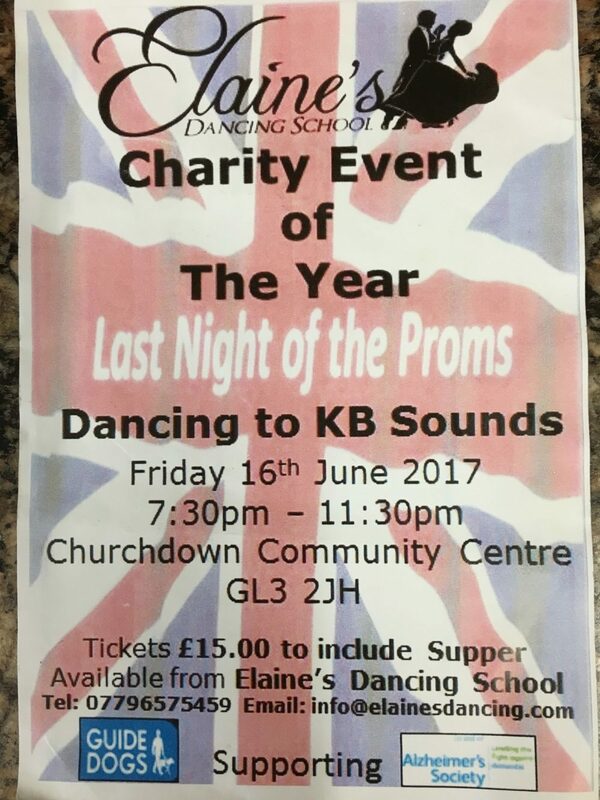 We are holding a charity dance with a fabulous night of dancing with KB Sounds to raise money for Guide Dogs for the Blind and The Alzheimer’s Society on Friday 16 June 2017 at Churchdown Community Centre Gloucester. This is a ticket only event available by email : info@elainesdancing.com or phone Elaine 07796575459. The cost is £15 per person to include supper. A raffle and auction will also take place. Your support will be much appreciated to help raise as much money as possible for these two Charities. If anyone would like to donate a raffle prize then please contact us. Many thanks.